The Tenth Biennial International conference on Alcohol, Drugs and Society in Africa organised by the Centre for Research and Information on Substance Abuse (CRISA) is one of the few events that provide opportunities to discuss issues related to drugs and substance use in Africa. 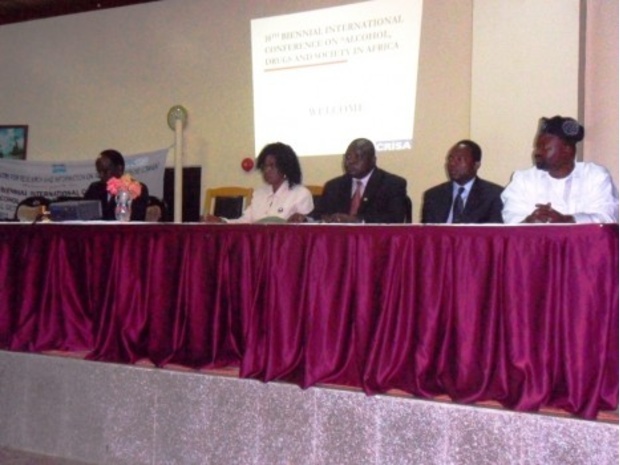 The conference, focusing on ‘Social Determinant of Substance Abuse in Africa: From Knowledge to Action’, is timely and necessary since substance use is increasing across the continent, while adequate interventions are scarce in terms of policy reform and the provision of evidence-based services. The scientific papers presented at the conference provided insights into many social factors that influence drug use among Nigerians and other African countries. This has contributed to reducing the wide gap in sparse data on drug use in Nigeria and Africa as a whole. However, much more research is still needed to get a clear picture of the drug consumption situation in the region and understand how best to tackle the phenomenon. One major reoccurring theme at the conference was that of drug use among young people. As a member of Youth RISE, a youth-led international network established to reduce the risks and harms associated with substance use and drug policy amongst young people, this was of particular interest for me. Young people are often most affected by drug use, but also by badly designed drug policies and programmes. They are also particularly subject to stigma and discrimination, which tends to drive them away from life-saving harm reduction and evidence-based drug treatment services services, when those actually exist. Another element which strikes me from the conference is the need for much more collaboration between academics/researchers, policy makers and civil society organisations from the region. This is crucial if we want to move from knowledge to action – while research in the region is necessary to learn more about the drug use situation and related harms, civil society organisations can engage with the government and provide services that will seek to reduce these harms. Unfortunately, such a dialogue space is currently absent in Nigeria. Although this conference was an interesting, and important, step in the good direction, much more is needed if we want drug policies to truly respond to drug use and its related harms among young people and the whole of society.